ASEF culture360 contributor Lai del ROSARIO explores the art scenes in Manila and Brisbane by tracing the development of their alternative spaces. Two recent exhibitions about artist run spaces will be focused on – Marker: The Philippines, shown at Art Dubai, and Ephemeral Traces: Brisbane’s artist run scene in the 1980s, presented at the University of Queensland Art Museum. The text is a follow-up on the author’s ongoing research on creative spaces in cities. Alternative spaces serve as testing grounds to encourage artistic experimentation and practice. They may be set up in a permanent space or an ephemeral one. They may be conceived with a long-term programming in mind or as a one-time event. In some cases, they are run by artists, thus, are ‘artist run spaces’. They often differentiate themselves from bigger, more established, and more commercial structures like art galleries and museums, thus, they are sometimes called ‘independent spaces.’ The discussion is a follow-up on the author’s ongoing study on creative spaces in cities (see The ebbs and flows of creative spaces in Metro Manila). As the name suggests, alternative spaces offer other platforms for artists to present their works outside the systems of museum, galleries, and more ‘legitimized’ institutions. There is no one model for these spaces and their development is often organic and dynamic, adapting to the interests, means and needs of their members, as well as to their environment. This fluidity has proven to be both beneficial and disadvantageous to their development and survival. Recently, two exhibitions were launched discussing alternative spaces in the cities of Manila and Brisbane. By referring to the exhibition catalogues, images, and other published material, this article aims to explore narratives on these spaces and consequently, to see how they contributed to today’s contemporary art scene. How do exhibition organisers - essentially the curators - view these spaces? How do these spaces influence their respective cultural ecosystems? 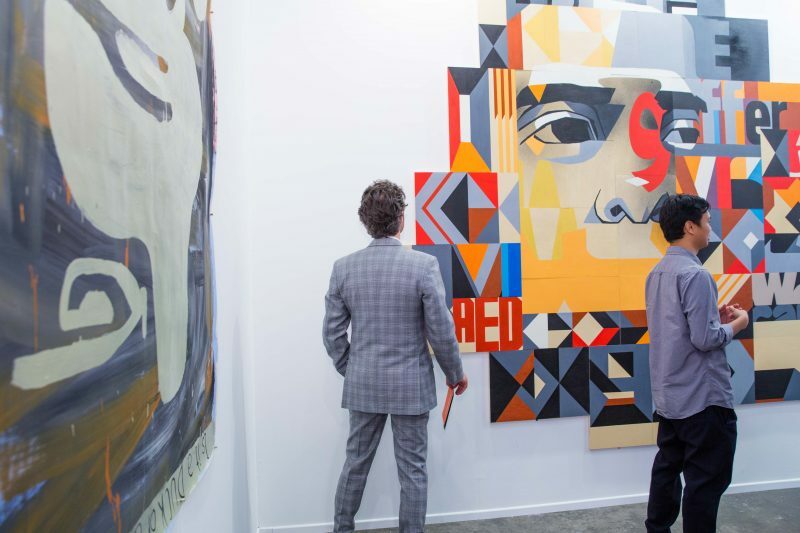 Last March 2016, the Philippines was selected by Art Dubai contemporary art fair to be featured in its curated section, Marker. Artist and researcher Ringo BUNOAN curated the exhibition and presented works of emerging artists from four existing Manila-based artist run spaces - 98B COLLABoratory, Thousandfold, Project 20, and Post Gallery. The show also revolved around Roberto CHABET, an artist and himself the initiator of an artist run space, Shop 6, in the 1970s. Marker: The Philippines gives context to the contemporary Philippine art scene by tracing the emergence of alternative spaces in Manila. Due to the lack of institutional and governmental support for artistic projects, many artists have taken it upon themselves to put up initiatives that would allow them to experiment and push their practice forward. In the 1930s, painter Victorio EDADES, a renowned Philippine artist, opened his atelier to artist friends and introduced a new technique that challenged the classical style of painting of the era. In the 1960s, Arturo LUZ, another notable artist, opened Luz Gallery and turned it into a successful venue showcasing modern art, as well as a commercial model for artist run galleries. Today, it is not uncommon for artist run spaces in the Philippines to sell artworks and derivatives in order to sustain themselves. The condition of Marker itself, though primarily organised to introduce Philippine art and give visibility to emerging artists on a global platform, is also a welcome opportunity for artists to offer works to collectors. In the 1970s, Roberto CHABET, considered the father of Philippine conceptual art, started teaching at the University of the Philippines College of Fine Arts (UPCFA) and became an influential mentor for many a practicing artist today. Chabet also curated several exhibitions of his students’ works and guided those who planned to start their own spaces and initiatives. The styles and approaches of EDADES, LUZ, and CHABET emanate from Philippine art to this day. Marker: The Philippines connects this historical background with practices and works currently being produced by today’s artist run spaces. Although painting remains the dominant form of art in the country, Bunoan chose to focus on photographs, videos, paintings, sculptures, works on paper, and textiles. Thousandfold, which promotes contemporary photography and photobooks, presented photographs and video works by Czar KRISTOFF, Tammy DAVID, Gino JAVIER, and Wawi NAVARROZA, among others. 98B COLLABoratory and Post Gallery, which encourage experimentation in street art and new media, brought among others a spray painting on wooden panels by Mark BARRETTO, and digital prints on sticker paper by Jed ESCUETA, respectively. 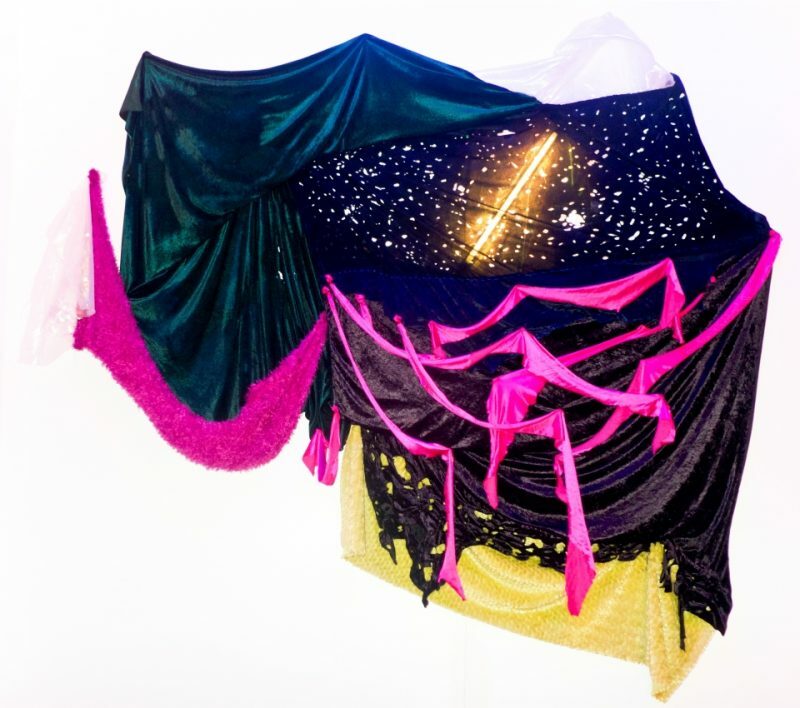 To highlight the collective spirit that these spaces encourage, collaborative works were included, such as 98B artists Issay RODRIGUEZ and Katherine NUÑEZ’ soft sculptures, and Project 20’s Tanya VILLANUEVA and Gail VICENTE’s textile wall piece. 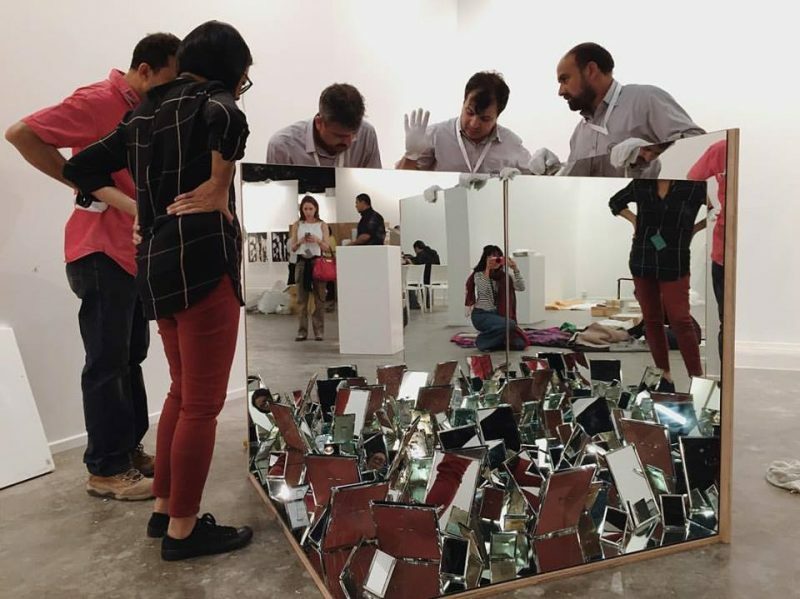 For BUNOAN, the activities of artist run spaces in the Philippines are not limited to organising exhibitions. Most of these hold workshops, performances, or pop-up markets, often becoming landmarks in the neighbourhoods they inhabit. “They build and nurture communities and provide many opportunities for young and emerging artists,” she says. One such space is 98B, which, apart from holding exhibitions and talks, recently launched an incubation and retail space, HUB, as an offshoot of its popular weekend pop-up markets. Co-founder and artist Marika CONSTANTINO recounts that 98B’s development was an organic one that stemmed from the vision of making art more inclusive and accessible to the public. Located in Escolta, a historical part of Manila that has seen better days, 98B operates with the help of passionate artists, supportive landlords and loyal visitors. Through programming and community-building, it is also advocating the neighbourhood's gradual revival. On-going at the University of Queensland Museum until June 26, Ephemeral Traces: Brisbane’s artist run scene in the 1980s, recounts the story of artist run spaces in the area during the final years of the conservative Joh BJELKE-PETERSON government in Australia. The exhibition features five spaces that operated from 1982 to 1988: One Flat, A Room, THAT Space, The Observatory, and John Mills National. Ephemeral Traces curator Peter ANDERSON describes the 1980s Brisbane as a cultural wasteland. It was a place “where nothing happened and nothing ever would happen … a place where poetry could never occur,” as lifted from a 1975 novel by David MALOUF. It was a city that people left, at least those who were in search of a more exciting, more ‘cultured’ life in bigger cities. And yet some stayed, a number of them artists who went on to punch out pockets of creativity in the city. 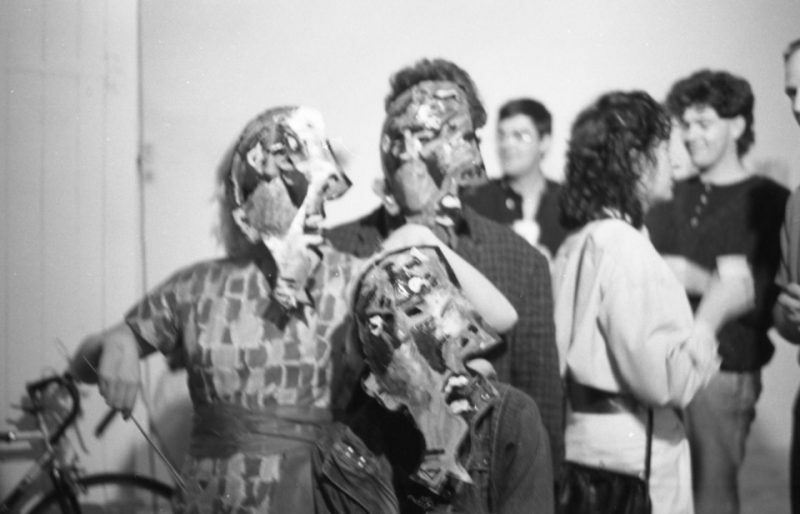 Back then, there was no institutional support nor cultural policies set in place for contemporary art, so artists relied on themselves and developed a do-it-yourself culture. On display at the show are ephemera from the era. “It’s the ephemera – the posters, invitations, magazines and photographic documentation – of exhibitions, performances and other events of this period that tell us so much more than individual artworks ever could,” says ANDERSON. 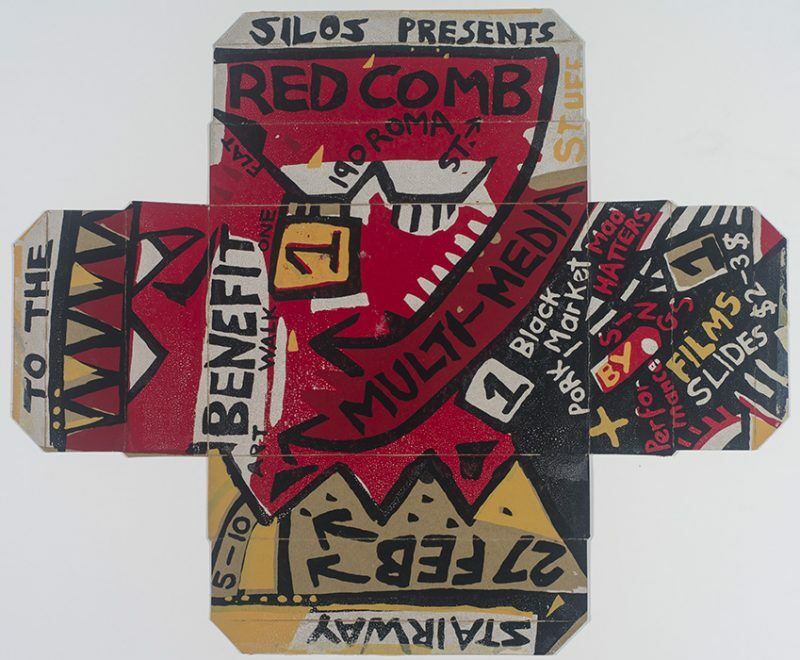 One example is a screenprint on cardboard (1982) by artist Hollie that served as an invitation for an exhibition at One Flat, an art collective that inhabited different addresses. A more ornate invitation (1987) by Adam BOYD made up of brass sheet, collage on Formica and inserted in plastic sleeves - this time for Christmas cocktails at John Mills National - is also on display. The exhibition reinforces the collaborative spirit behind these spaces through a series of photographs from a ‘shared camera’ (1986) that artists from THAT Space utilized to document people, social gatherings, openings, and their studios. Towards the end of the ‘80s, Wayne GOSS’ new government gave way to cultural policy reforms. This allowed more funding for and recognition of spaces and arts organisations. Queensland Artworkers Alliance, an artist led union, was able to move into a new office and hire staff, becoming a government-funded body that still exists today. The Institute of Modern Art (est. 1974), considered Brisbane’s first alternative space, became part of a bigger network of contemporary art spaces across the country. In the meantime, THAT Space and John Mills National closed down as the last bits of Brisbane were finally demolished and transformed. Most of the artist run spaces that survived continued to be underfunded. Through the exhibition, ANDERSON aims to question the idea of an artist’s ‘work'. After all in the world of artist run spaces, ‘work’ constitutes not just creative exploration but also art production, and organisational, performative and managerial tasks. By highlighting the diversity of work necessary in running these spaces, the exhibition gives attention not just to art creation but also to an expanded art practice, “one that treats a wider range of activities as essential components of an artist’s practice,” (ANDERSON, 2016). ANDERSON believes that this expanded practice contributed to the development of an artist led infrastructure, which Brisbane’s cultural policies are advocating today - a model that promotes collectivity, accessibility, and inclusivity in the art world. Today, Brisbane continues to thrive as a centre of art with its stunning museums, big galleries, and younger generations of artist run spaces. No longer seen as a ‘cultural wasteland,’ its vibrant history of artist led initiatives and spaces make up the rich fabric that it enjoys today. Exhibitions like Marker: The Philippines and Ephemeral Traces illustrate how the history of artist led initiatives and urban development figure into the current state of contemporary art. They remind us of the value of community-building and the importance of having a space – no matter how small or ephemeral – where we can simply and fully express ourselves.